In a large bowl, combine diced tomatoes and onions. 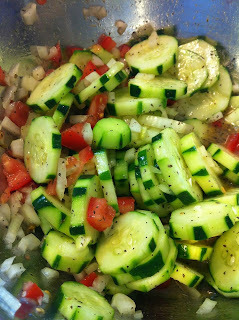 In a small bowl whisk together all the dressing ingredients. 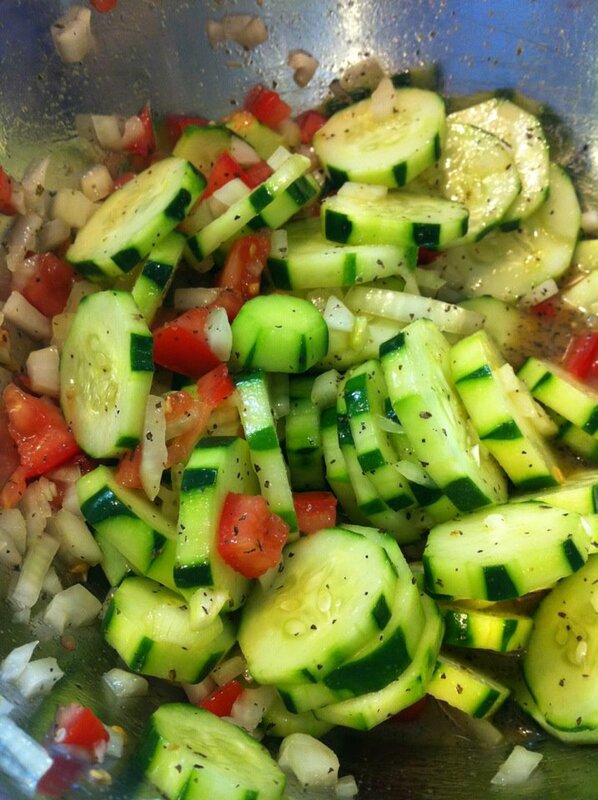 When you are ready to serve, rinse the cucumbers to get all the salt off and drain. Add to tomatoes and onions. Toss with dressing.